Watch Lady, stainless steel box BULTACO anti-allergic and methacrylate. 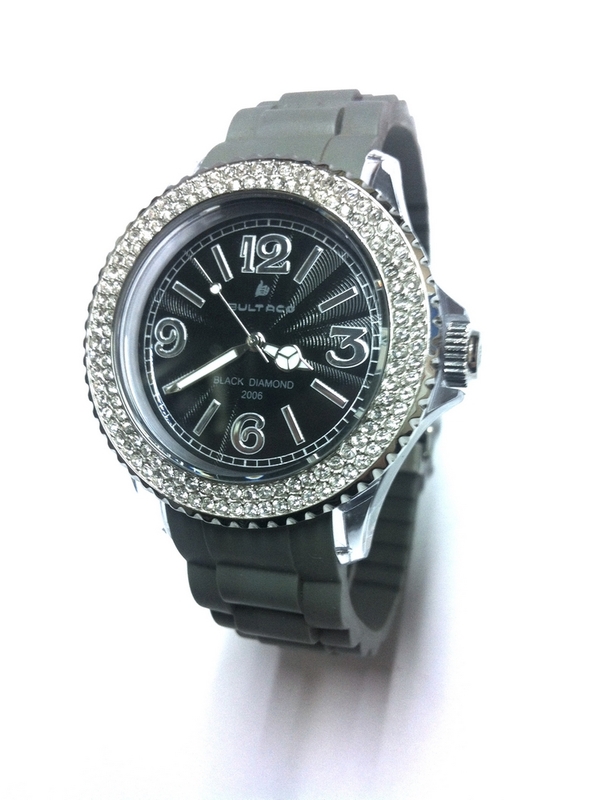 APPLICATION OF SWAROVSKI, BLACK DIAL, STRAP STONES BEZEL RUBBER ZIPPER TYPE ARMIX STEEL GREY. 5 ATM WATER RESISTANT. Manufactured in Spain.